This past summer I had the privilege of sitting in on a Satellite Branch for the Willow Creek Leadership Summit. Yet again there were many great speakers and every year it just seems to get better and better. 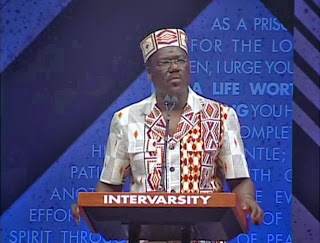 One in particular that stuck out to me was Oscar Muriu who I had never heard of before, but came to find out he is the Senior Pastor of the Nairobi Chapel a mega-church in Kenya Africa. I wanted to share 5 leadership convictions I found extremely helpful that he has had over his years of experience in developing other leaders. The last thing that Oscar pointed out from his years of experience is to always have budding leaders around you. As I write this I can't help but think not of the books that I read or the lectures that I've heard (and all these are helpful in developing leaders), but the people that I have had the privilege of spending valuable time with. Some of the best things I learned were not taught, but caught. As I learn to develop leaders I am striving to always bring people with me.